Hey guys! 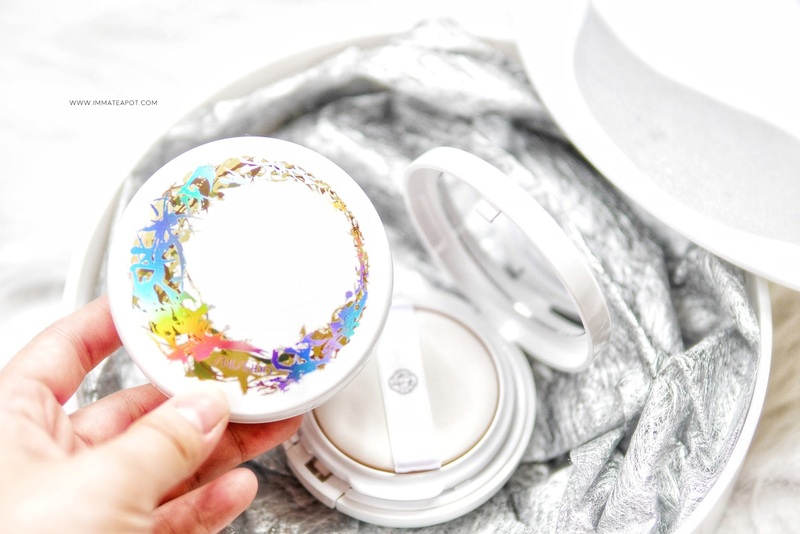 It has been awhile and I am back with my first beauty product review of the year! I think most of you have read my previous reviews on the Shiseido Synchro Skin Glow Luminizing Fluid Foundation, as well as the Lasting Liquid Foundation and they were da boom! 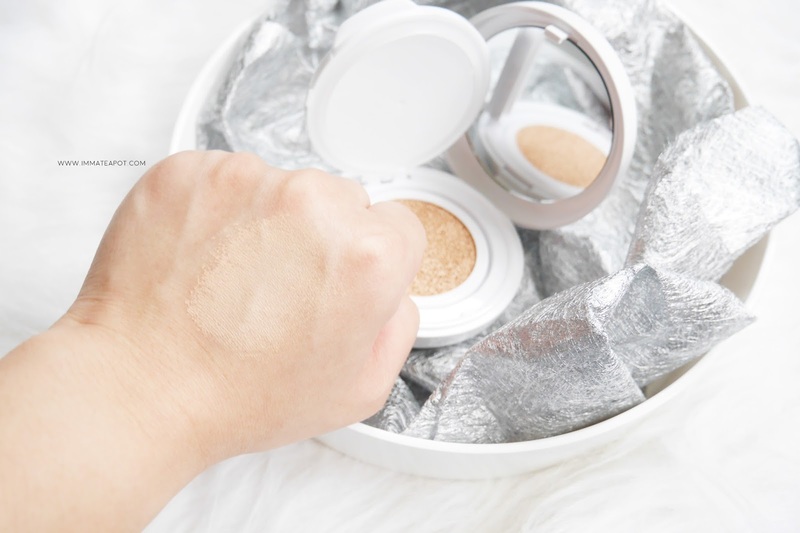 I was so madly in love with all of the Shiseido foundation range, I was beyond impressed with their formulation that synchronizes with our skin tone naturally, leaving our skin flawless and moisturise! 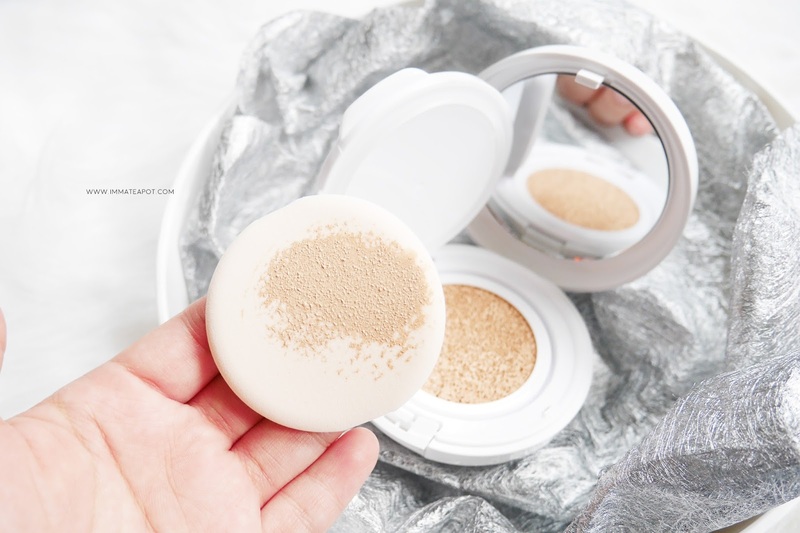 What is more when they come out with the Shiseido Synchro Skin White Cushion? Lets dig in! 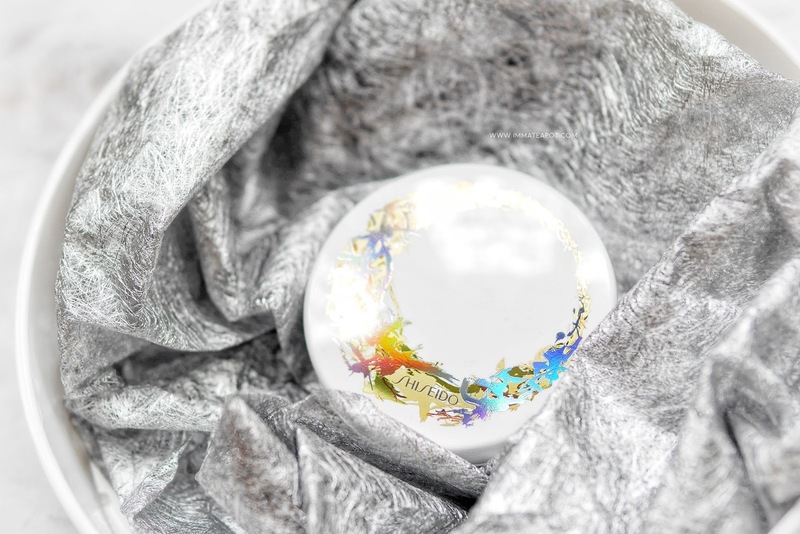 Instead of the ordinary white-grey casing with some abstract lines on, Shiseido has come out with the Limited Edition 2017 Holiday Series White Cushion, in collaboration with the famous Japanese calligrapher, Sisyu. Actually, the whole design concept was basically based on the idea - Symphony of Light, that best reflects the light within every single us, uniquely positive. With no doubt, the packaging look absolutely gorgeous! Classic white casing with some touch of reflective silver stamping that made up of different strokes and styles, add a little more fun and color on this festive seasons. It looks like a floral hoop with a touch of light! 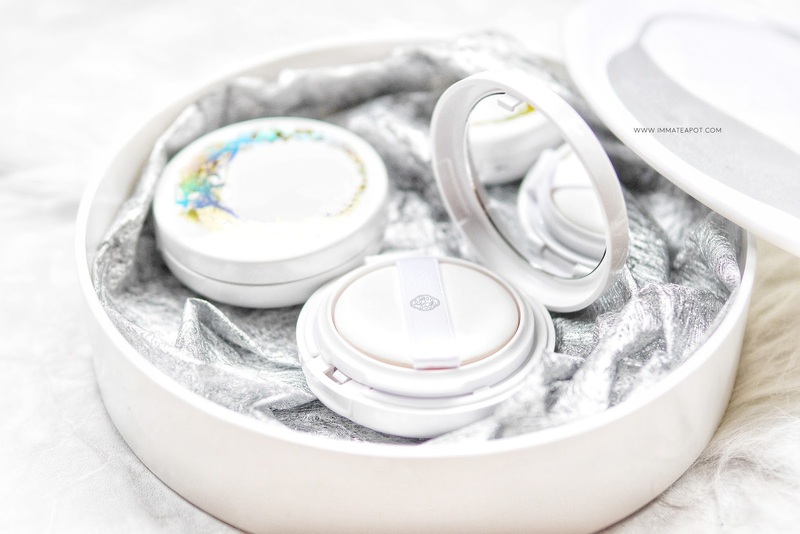 Like an usual cushion compact, it comes with a puff with a tiny logo printed on the band. Elegantly presented. After removing the protective layer, it is a bouncy cushion within, with larger rough pores of texture as top layer. The larger pores actually serve well in order to help controlling the amount of foundation we take either using fingertip or puff. For the first dab, the puff takes up quite a lot of the product, yet it is lesser after a few dab. So make sure you are light handed during the first few dab. However, the product delivers on the skin is much lighter and lesser as compared to what we see from the puff. It presses well on the skin, as the outcome is smooth and natural as it blends well on the skin. The texture is much creamy in beige and comes in a light floral scent. 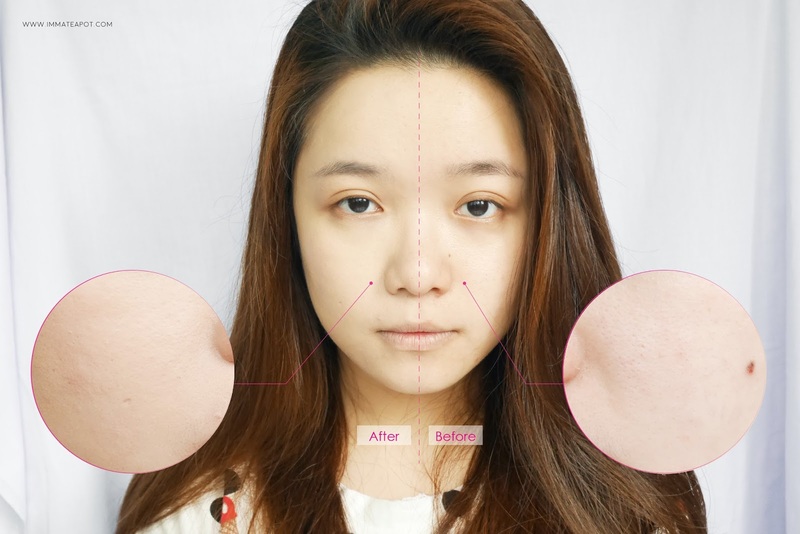 Before the application of cushion, my skin look dull and uneven, the pores on the skin are obvious. After the application, the radiance complexion and flawless smooth texture on the skin are similarly significant. 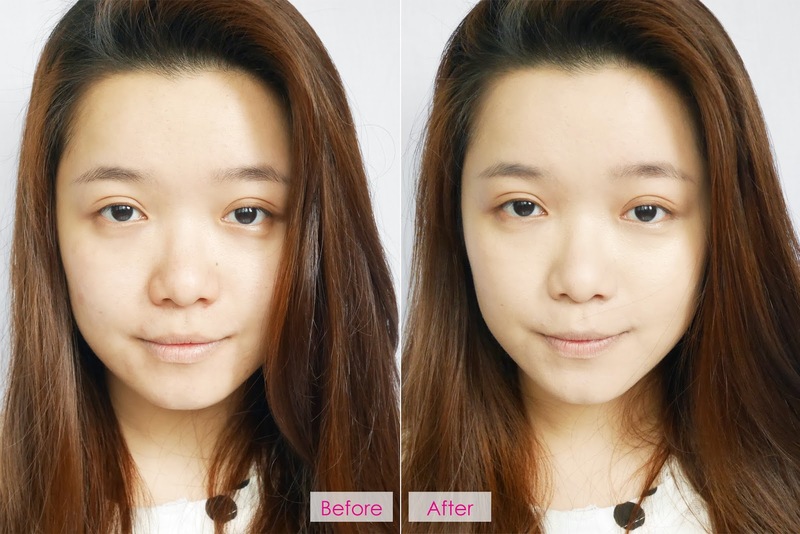 The foundation is build-able upon a few layers, in order to cover up the dark circle or red blemishes naturally. Yet, it is good enough to cover up the pores. 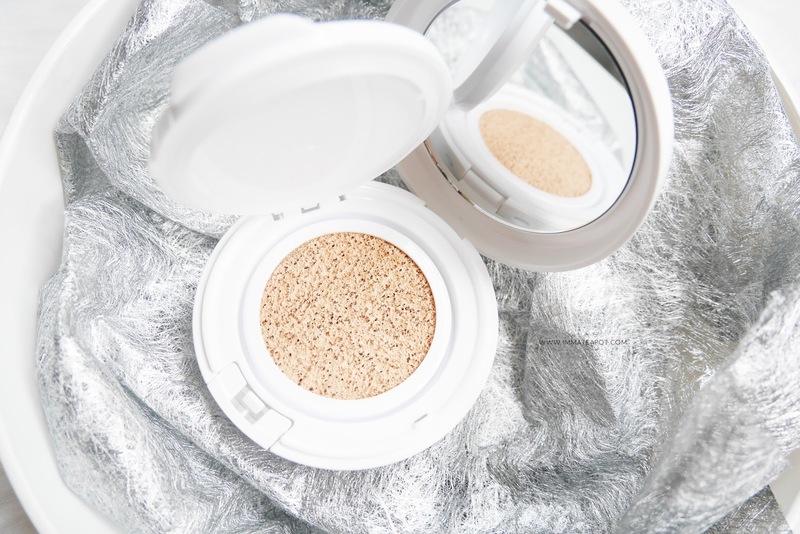 Overall, the cushion gives a semi-matte finish on the skin, leaving the skin with healthy glow and natural looking. I am so surprise that the cushion shade sync well with my skin as I thought it will be much fairer like the other cushion does. Tips: Always be light handed and start from your T zone, then slowly puff off or blend to the side of your face using the remaining products on puff. 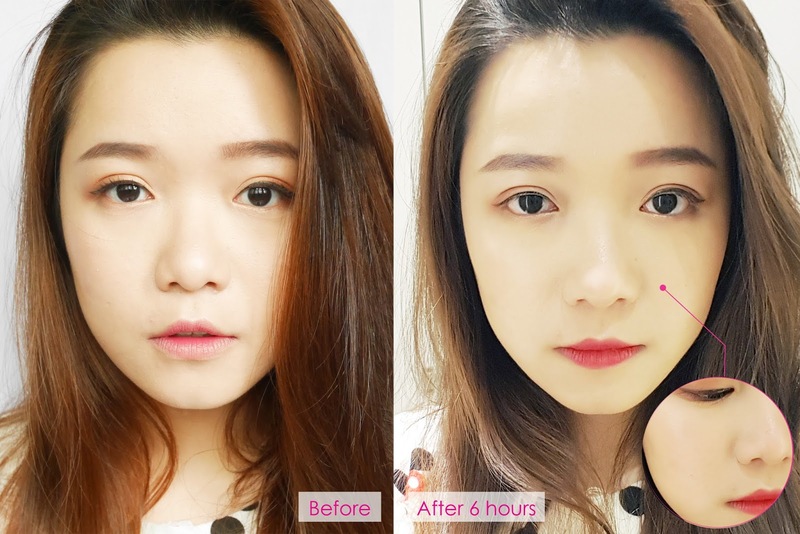 After 6 hours of usage, the overall condition of the skin is still looking good, yet the cakiness around the side of the nose is obvious and it doesn't really do well in oil control, that the skin is quite oily after long hours without touching up. Hence, make sure to set your face well with loose powder after application of the cushion, or frequently blot away the oil with tissue. Personally, I am quite satisfy with the result delivers using this cushion, which is natural and best for daily look. The coverage is fine for daily natural look and there isn't much fall off after long hours. Something I don't like about the cushion will be, it is rather dry and there is some cracks appear when your skin condition is dry, especially at the side of the nose. This may not be your choice of cushion when you are having dry skin condition. Awesome .. packaging so cute ! Wow... nice packaging.love the glowing effect..
You are so chio! Thanks for the review! My friend was thinking of buying this but she couldn't decide and your review will definitely help. Product looks good on you. Would like to try it too. I like the packaging of this compact. and you look beautiful on it. I cant believe that this product is so long lasting. Normally cushion compact wears off quickly and the coverage is not that good. Such a feminine looking packaging. Anyway, am quite impressed that you still looked good after 6 hours. I would love to give this a try.